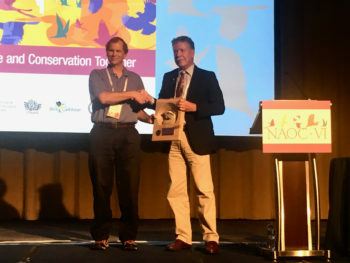 Partners in Flight Awards recognize exceptional contributions to the field of landbird conservation in the Americas. 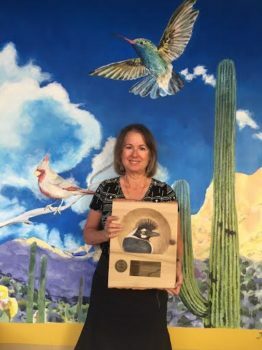 Nominees are considered who have significantly furthered the mission of PIF and its goal of protecting priority migratory and resident landbirds and their habitats. Nominees are evaluated in five award categories: Leadership, Investigations, Public Awareness, Stewardship, and Lifetime Achievement. Click here to nominate a colleague. See the 2017 Partners in Flight Awards page. See the 2016 Partners in Flight Awards page. Carol Beardmore with her 2015 PIF Leadership Award. 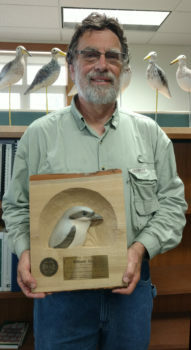 William Glass with his 2015 PIF Stewardship Award. 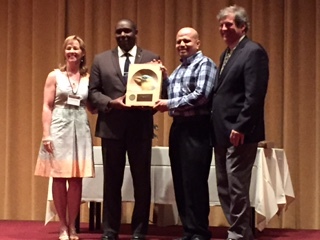 Edwin Juarez (second from right) receiving his 2015 PIF Leadership Award from EJ Williams, Jerome Ford, and Bob Ford (left to right). Arvind Panjabi (right) receiving his 2015 PIF Leadership Award from Tammy VerCauteren. 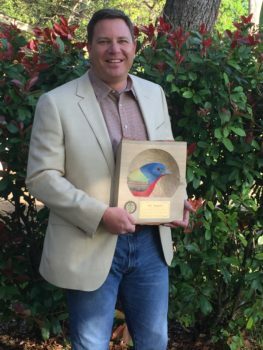 Jeff Raasch with his 2015 PIF Leadership Award. 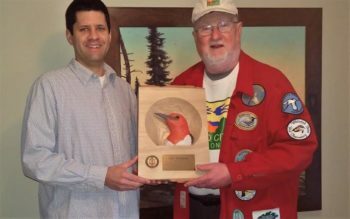 Carl Schwartz (right) receiving his 2015 PIF Public Awareness Award from Bryan Lenz. 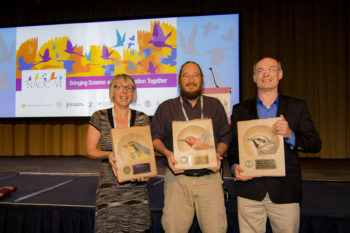 Judith Kennedy (left; Leadership), Humberto Berlanga (Leadership), and Wayne Arendt (right; Investigations) with their 2015 PIF Awards. 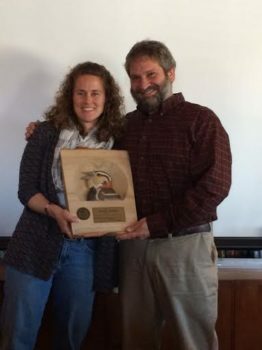 John Sauer (left) receiving his 2015 PIF Special Award for Science Support from Terry Rich . View a complete list of all previous award recipients.